Don't say I'm not good to you! Planning my wedding and sharing it here on the blog has brought some lovely opportunities my way, and in the next few months I'll be sharing one of those opportunities with you, as I team up with Apex Hotels to help spread the word of their upcoming wedding fairs at their Edinburgh Grassmarket and Dundee City Quay Hotel & Spa properties - keep an eye on their blog and social channels for more from me very soon. Any bride-to-be knows that one of the crucial elements in happy wedding planning is a supportive bride tribe - that team of ladies who will help you navigate decisions where your groom can't (hello wedding dress purchasing! ), plan the best hen party ever and generally see you off into married life in total style and of course, utter, unadulterated happiness. So I'm giving you the opportunity to kick back with your bride squad and enjoy an afternoon of luxury, as a thank-you to them for helping you through your endless wedmin, and a way for everyone to get to know each other properly before the big day too. I have one afternoon tea to give away, for four people, at Apex Dundee City Quay Hotel & Spa, to help you unwind in style and enjoy a planning afternoon accompanied by tea, sandwiches and more cakes than you can manage. The competition is live over on my Instagram so you'll need to head there to enter, but before you go, allow me to tell you a little bit more about what you can expect. You and three members of your bride tribe can enjoy a delicious Italian-inspired afternoon tea, with spectacular views over the River Tay and Dundee's picturesque quayside. There's tasty treats from the savoury to the sweet, including traditional favourite, the quintessential scone, to the not-so-traditional baci di darma nougat and an array of Mediterranean dessert delights, you can take a look at the menu here. You can also opt for an Aperol Spritz alongside your classic cuppa, to really get into the spirit and enjoy la dolce vita! After tea, your options are endless. Perhaps you want to go for a few more cocktails at the hotel bar, or maybe you'll want to book in for an afternoon of pampering at the hotel's award-winning Yu Spa, with a huge variety of relaxing Elemis treatments on offer, as well as an Ozone pool and a hot tub to carry on the celebrations. You might even want to make a weekend of it, and book yourselves into the newly-refurbished Scandinavian-style bedrooms and suites, to enjoy a girlie weekend at a slower pace. The competition is open until September 5th at 6pm, and the winner will be drawn later that night. The prize will be valid for 12 months so no worries if you're not fully in planning mode yet - and you can also enter even if you're not planning a wedding of course, you don't need to be a bride to show your girls that you love them! If you are a bride-to-be, round up your bride tribe and make sure you're all booked in to the Apex's upcoming wedding fairs too. Tickets are free, and wherever you're at in the planning stages, you'll be sure to get some fabulous inspiration from an array of handpicked wedding suppliers, all on hand to help you achieve your dream day. The Edinburgh Grassmarket wedding fair is on October 14 (tickets here), whilst the Dundee City Quay fair is on November 4 (tickets here). I'll be heading along to both, so I hope to see plenty of you there! Competition Terms: The prize is one afternoon tea booking for four people, valid from September 6 2018 for 12 months. 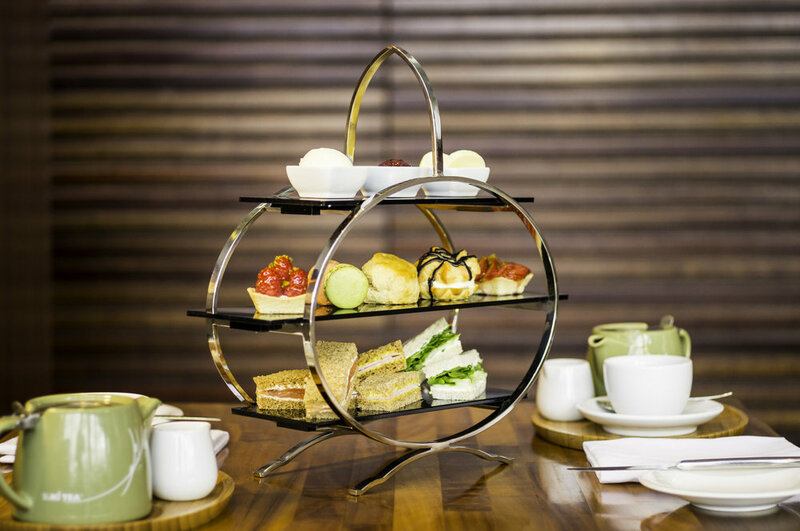 The afternoon tea must be booked in advance and is only valid at Apex Dundee City Quay Hotel & Spa. Travel expenses, accommodation and any other expenses outside of the afternoon tea menu (i.e. additional drinks etc.) as specified are at the expense of the winner and their guests, and are not the responsibility of The Style Stories blog or Apex Hotels. Any additional guests must be paid for at the usual menu rate. This competition is the responsibility of Apex Hotels and any issues should be raised directly with them. Bookings must be made through Apex Hotels as per the prize voucher.